Fun Things To Do This Weekend From Around The Country! Don't see anything in your area? Use the form above, to search for fun things to do in your local community! Since 1967, ranked one of the top 10 outdoor festivals in the country, art booths from more than 140 juried artists, continuous entertainment on 3 stages, international food booths and craft demonstrations. No pets please. Check website for schedule. Since 1990. The Pacific Coast Dream Machines Show, “The Coolest Show on Earth”, is a spectacular showcase of motorized mechanical marvels from throughout the 20th and 21st centuries. The show is a whimsical, fascinating, amusing, curious and absolutely unique show and tell spectacle featuring 2,000 magnificent driving, flying and working machines from the 20th and 21st centuries. The world's coolest cars of every era and style, model-T fire engines, vintage busses, custom motorcycles, tricked out trucks, sleek streamliners, one-of- a-kind antique engines and tractors and historic military aircraft will be among the mesmerizing displays. Since 1977, auto hobbyists yearn to throw off the winter doldrums and enjoy their collector vehicles. The collector car swap meet and car corral fill the entire 82 acres with more than 3,000 automotive vendors and more than 1,800 cars for sale. This is a wonderful show for cars, parts and accessories and other collectible items. Since 1919. More than 40 events celebrating the spring apple blossoms, one of the best known parades in the Northwest, arts and crafts, gem shows, great variety of food, and entertainment. Grand parade held the last Saturday at 11am. Events take place throughout the town at various locations. Since 1987, highlights French Louisiana and its relationship to the rest of the French speaking peoples of the world with musicians, artists, theater, film and food. Includes 5 music stages, food court areas, street musicians and animators, arts and crafts boutiques, art galleries, beverage stands, cultural workshops, international cooking demonstrations and a world music store. Since 1985, one of the best events all year in South Florida. Delicacies from the local waters are prepared with mouthwatering results by restaurant chefs. Guests can enjoy music and arts and crafts along the beautiful beachfront as part of the festivities. With 180 arts and craft vendor spaces stretching along Pompano Beach blvd, this a can't miss festival for vendors. - - Check website for all locations. Since 1984, craft festival featuring juried vendors from 20 states featuring handmade work to be exhibited including original oil and watercolor paintings, pottery, jewelry, furniture, woodworking, ornamental iron, Appalachian-style baskets, stained glass, photography, home and garden accents, birdhouses, leatherwork and much more. Plus two stages of free music and entertainment, children's area and over 20 food vendors. Since 1981, the 3 day festival features visual arts show, songwriters showcase, jazz and blues showcase and other music, theatre and dance performances on 4 stages. Also includes choreography competition, juried visual arts show and children's discovery area. Since 1953. After more than 50 years as Norfolk’s International Azalea Festival, the Norfolk NATO Festival was renamed in 2009, in recognition of its primary mission: to honor and recognize all 28 NATO member nations and their staff and families living here in Hampton Roads while working at Norfolk’s NATO Headquarters, Allied Command Transformation. Parade held on Waterside Drive and festival is held in Town Point Park. Since 1981, oveer a thousand musicians, artists and performers, come hear great jazz along with the best pop, rhythm and blues and cross cultural music. The park setting includes 6 stages, 220+ booths, juried arts and crafts, children's art tent, community/school entertainment, food games and clowns. Makes this a fun family event. Since 1949, A-Day, which stands for Activities Day, is a family friendly event organized and run by the students of Delaware Valley University to benefit campus activities and clubs. This three-day event brings the campus and the surrounding community together for educational exhibits, competitions, entertainment, fun, and great food such as thick, homemade milkshakes and delicious funnel cakes. The final signature event of the Florida Heritage Festival, the parade is a local tradition. The Grand Parade steps off at 6:30 p.m. Ranked as one of the largest and most prestigious parades in the South, the dazzling and exciting De Soto Heritage Festival Grand Parade is truly a sight to behold for all ages. Over 150 illuminated parade entries light up the night with color, music and fanfare like you’ve never witnessed before! Starting at Manatee High School, the parade route goes west on Ninth Avenue, north along 39th Street West to Manatee Avenue and then turns east toward Downtown Bradenton to Ninth Street West. Make sure your family and friends don’t miss the De Soto Heritage Festival grand finale. Since 1985, This free visual and performing art celebration is set along a scenic path through the charming neighborhood of Little Italy. Set apart from other art events, Mission Federal ArtWalk is considered an accessible and welcoming venue for art collectors and visitors to interact with artists, view and purchase their artwork and enjoy an outdoor casual atmosphere under southern California's sunny skies. Little Italy, the backdrop for the festival, is like no other district in San Diego. This vibrant neighborhood is home to art galleries, San Diego’s top dining destinations, and charmingly unique public spaces that invite you to come, linger, and enjoy. The Texas Sand Sculpture Festival, called "SandFest", is an incredible three-day event held on the beach in Port Arkansas, Texas on Mustang Island. 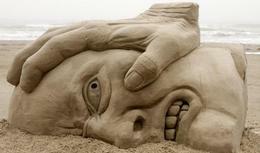 Master sculptors fly in from all over the world to compete by creating huge life- size sand sculptures. See our web site for photos! In addition to the "Masters" contest we have sand contests for Youth, Amateurs, and Pro-Ams. SandFest has several tents with free activities such as and Entertainment Tent with live music and a Youth Tent with free games and crafts for the kids. "Lesson Mountain" has free sand sculpting lessons for ages 4 through 104. Our centerpiece is 250 tons of sand carved by over 20 master sculptors. SandFest is very family- oriented with things to do for everyone in the family. SandFest is amazing. People love the experience and return every year. Since 1948, a celebration of San Antonio's heritage held each year during the week of Fiesta. International cultures, foods and entertainment are featured in 15 areas of the historic downtown village of La Villita along the River Walk.